ORLANDO, Fla. (April 2, 2019) – FOX Sports Florida, the exclusive television home of the Orlando Magic, announced the Magic vs. New York Knicks game on Wednesday, April 3 and Magic vs. Atlanta Hawks game on Friday, April 5, will each be made available on the FOX Sports Florida alternate channel for select television providers. 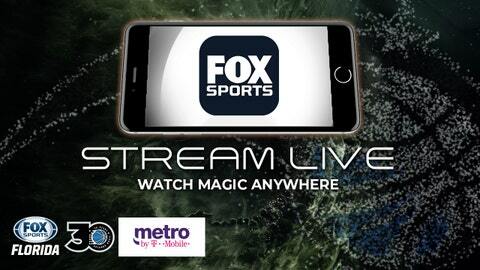 Each broadcast will feature the Magic Live pregame show a half hour before tip-off, in addition to streaming live on the FOX Sports app, FOX Sports GO and www.foxsportsgo.com. The game will appear on the regular FOX Sports Florida channel for all other cable and satellite providers not listed above.